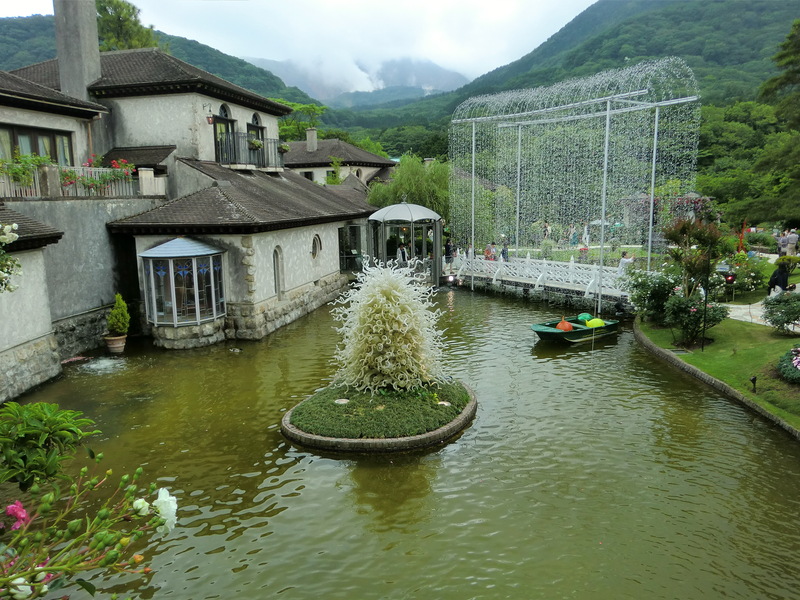 Hakone, Feudal lord’s procession in 2016 | Why don't you go on a trip to Japan? It is a national holiday on 3rd. 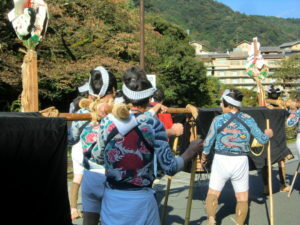 November in Japan, Feudal lord’s procession is held every year on this day in Hakone. 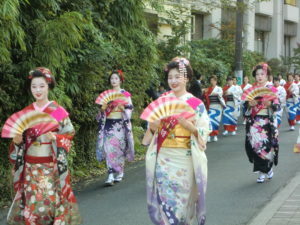 The main attraction of the festival is parade, which is Feudal lord’s procession. 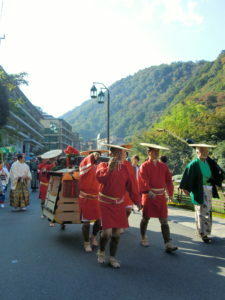 The parade goes on to the Hakone Yumoto town walking 6 km with about 170 persons adorned with ancient clothes. The parade starts at 10am but I slept late that morning and I was there the last one hour. 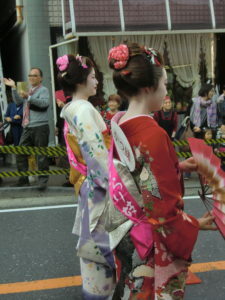 When I arrived there, many people waiting for the procession stopped by the street side already. I walked around and found a nice picture point. 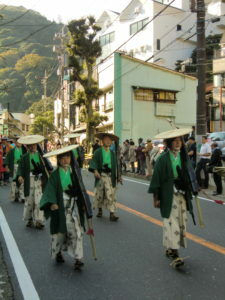 The parade goes around in the Yumoto town from the starting point. 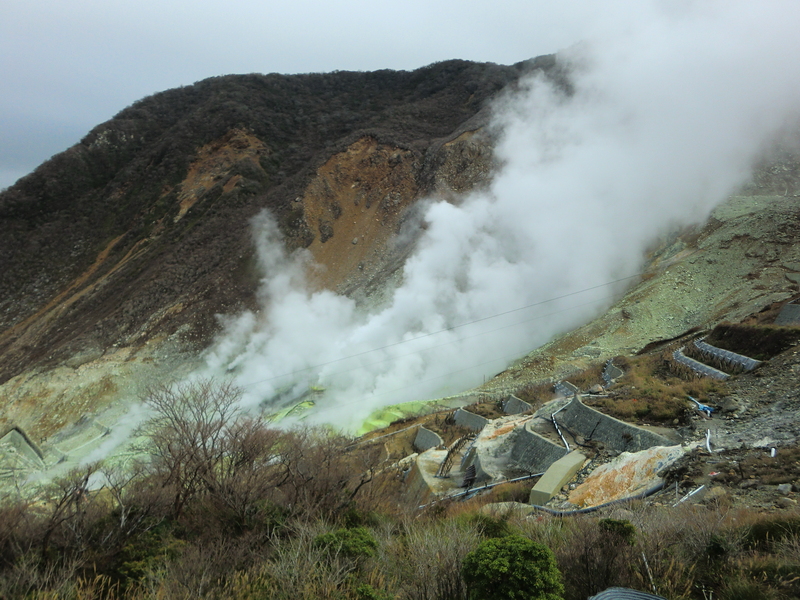 Yumoto is well known as a hot spring town. 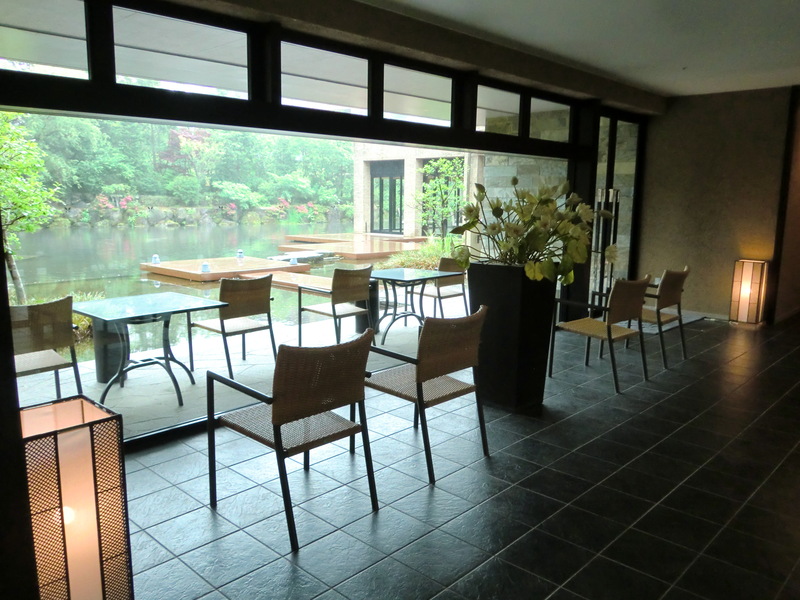 There are many Japanese style inns called ryokan, hotels and spas in the town. 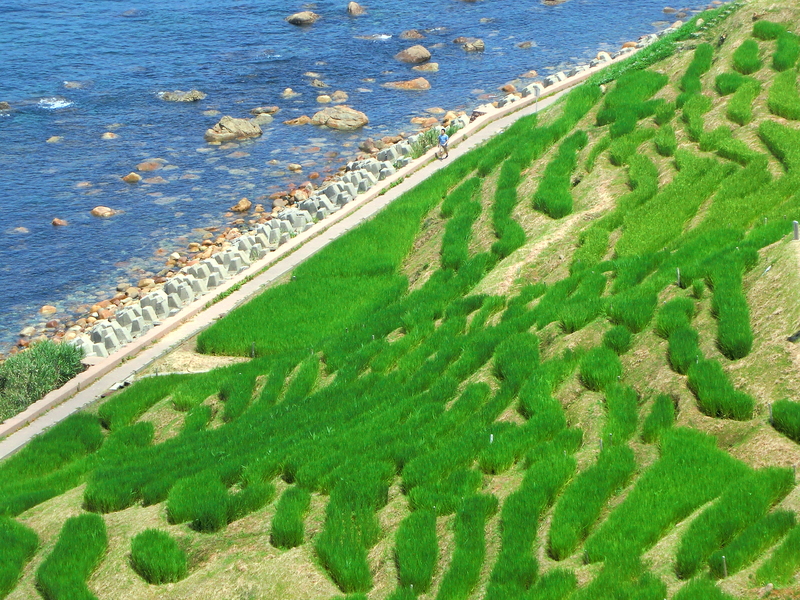 Hot spring resorts are lined around the Sugumo River. It is a very trendy area. The parade is held from 10 o’clock to 2 o’clock with going around the town. The main street using the parade had regulated any cars, which made other roads terrible traffic jam. It would be better to use trains. What is Feudal lord’s procession? In the Edo period, Edo military government made this system. Each local lord had to go to Edo to work under Tokugawa shogunate every second year. The lord’s wife and its children live in Edo and the lord goes or goes back between his domain and Edo. 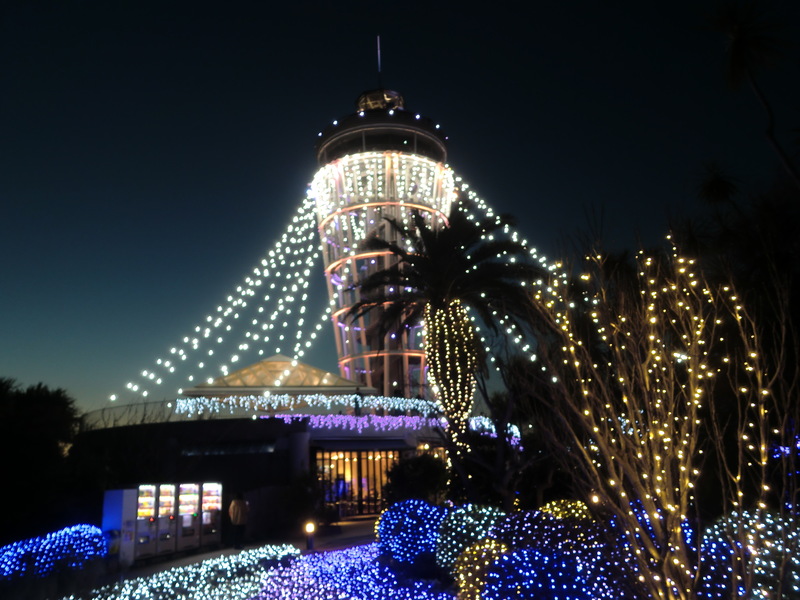 It is said that this establishment is effective in indication of Tokugawa’s power. Since the lord’s wife and children live in Edo, Tokugawa has an advantage. Also going to Edo tasked finance of the local lord because the glorious size of feudal lord procession was compared with the other feudal lord The size of feudal lord procession depended on the amount of rice they harvested in their domains and Hakone feudal lord procession followed that amount of rice in Odawara domain. 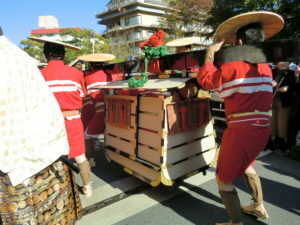 As you can see from this parade, the highest position daimyo was carried on a basket, not walk, which is a purpose for protect Dimyo from the enemy as well. It was generally lined around the middle of the procession. Naturally, people in the role of security with guns and weapons walk in front of the procession, and then people carried Dimyo’s cloths, foods and baggage are lined up. In the past, there was no transportation system such as a train, people traveled from their domain to Edo which is quite long distance. 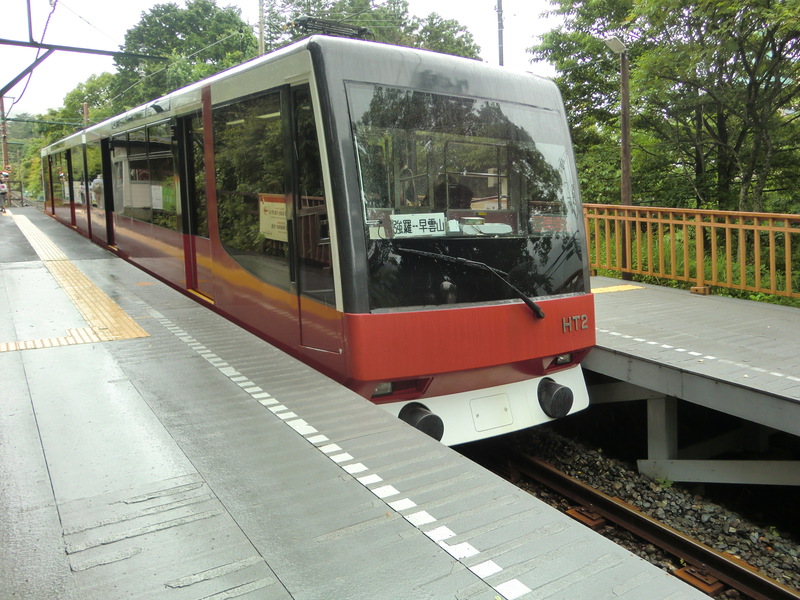 I imagine it is between Odawara and Edo about 70 km, it would be 2 or 3 days for the travelling. But nowadays it would be only about 45 minutes by Shinkansen. In the Edo Period, Every Feudal lord in Japan goes to Edo to work under the Shogun every other year, so the feudal lord placed at Kyushu and Tohoku would be more difficult than Odawara. This festival is held once a year, but you can see and learn more about Feudal lord procession in details in Tokyo, at the Edo-Tokyo museum, for example.